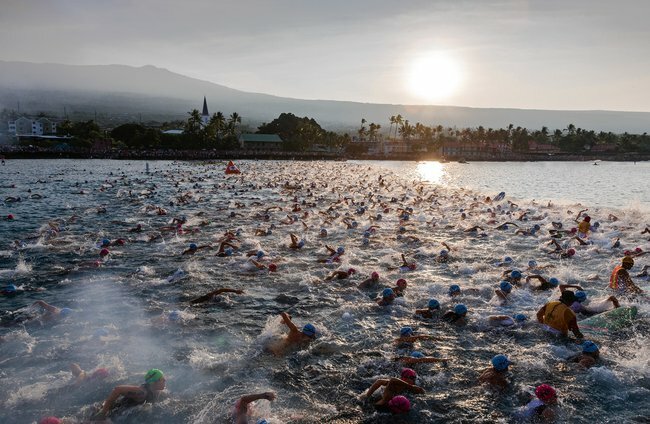 With the sun just peaking over the horizon at exactly 0630 on Saturday 10th October 2015 and the temperature already nudging 26C with 80% humidity, the canon sounded to mark the male pro start of the Ironman World Championship in the bay of Kailua-Kona. We knew then that it was going to be a day of attrition. Who would best be able to put together equally strong swim, bike and run splits while being cooked alive? If ever there was proof needed that while triathlon is made up of three disciplines it is but one sport and the cumulative fatigue, especially in Ironman distance undertaken in great heat, needs to be very carefully managed by the successful athlete whether pro or age grouper as if not, the day will be a short one as many of the big names found out. Indeed, the eventual winner, Jan Frodeno, described the race as “like being locked in a sauna that also happens to have a wind tunnel in it”. The ‘Kona Code’ is a truly unique challenge, which requires real experience to crack. For whatever reasons, the swim conditions seemed to be a little more difficult this year and most of the field swam 1-2 minutes slower than in 2014. Michi, in his weakest discipline, was no exception and hit the bike course with what was already a 10-minute deficit to a lead group numbering close to twenty athletes. As such, he was in ‘chase mode’ from the start but this being the World Championship the field contained plenty of strong cyclists who were now working efficiently together as a group. The best Michi could hope for would be to hold on to the time gap. Not easy as catching and dropping less able cyclists can create considerable fatigue when compared to a sitting in a pace line where the group is working as a cohesive unit and power outputs can be held steady. Nevertheless, Michi not only made up over twenty positions on the bike leg alone but ended up posting the 10th fastest split of the day. 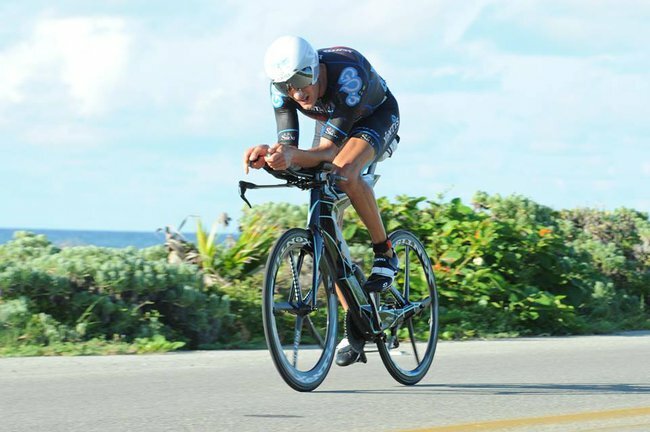 Lets take a look now at Michi’s SRM file firstly in isolation and secondly in comparison with the fastest bike split posted by Maik Twelsiek The analysis may surprise you! The reasons for this are simple enough. 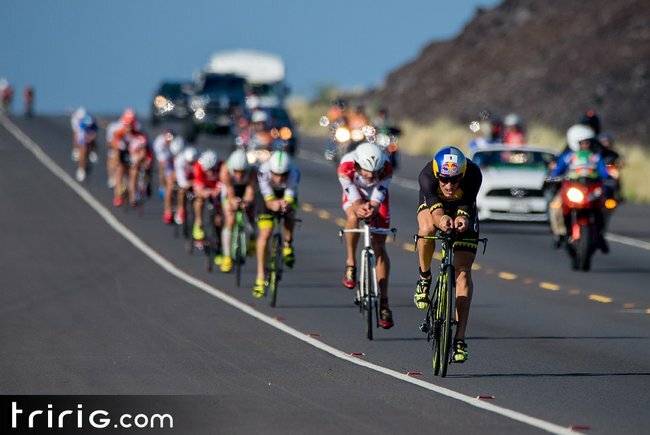 By the time the athletes reach Hawi they have been racing for 3 hours, expending in the region of 3000KJ of energy or the equivalent of 12 snickers bars! They then make the turn at about 11am and head back into town as the temperature rises from 30C to around 37C. The subsequent increase in heat stress to be endured has the effect of increasing the work of the heart at any given work rate which in turn increases effort perception. Not surprisingly, with a marathon run to follow in the peak temperatures of the day, the athletes tend to ease off the gas on the return although it most certainly does not feel like that to them but rather as if the are pushing harder than ever! 1. An increase of 5 watts in an even hotter race than the previous year in a cyclist of Michi’s ability is a substantial improvement and one that required an awful lot of work. 2. 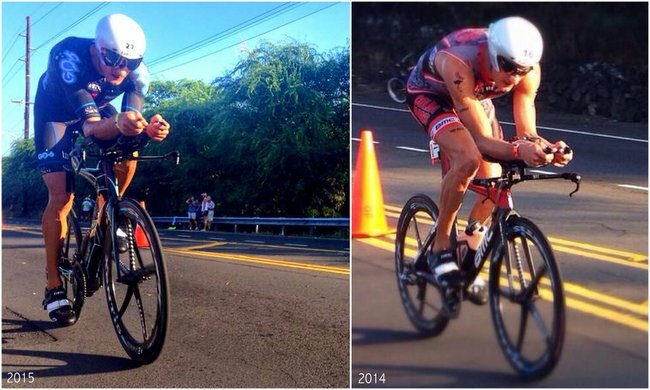 The considerable difference between raw and Normalized Power in both data sets shows just how costly it is for Michi to be in ‘chase mode’ right from the start of each bike leg and further highlights why improvement in the swim discipline must remain the No.1 priority. 3. Michi rode at an average of 3.6 watt/kg for the duration which is based on the raw power number of 299W and divided by Michi’s pre-race weight (therefore glycogen loaded) of 82kg. 4. This year Michi spent much more time training in the hills at lower cadences in order to improve his bike specific leg strength and this is evident in the numbers in the way the was able to produce more power at lower average cadence. 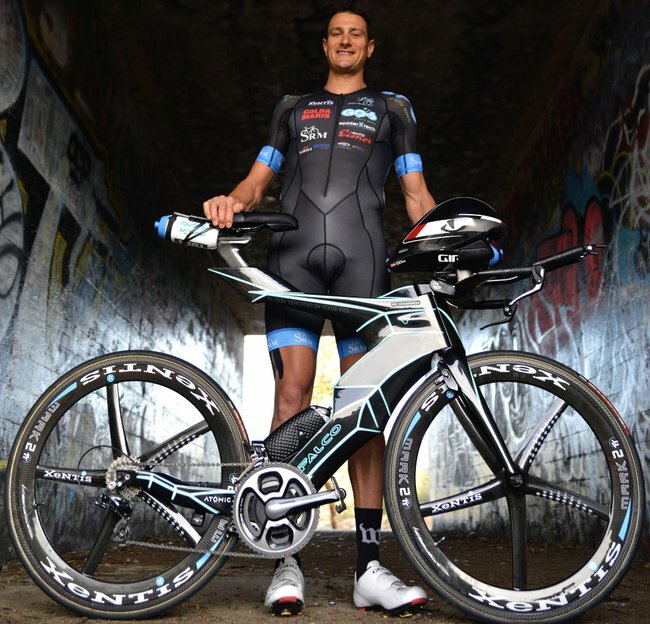 Michi also reported feeling very good on the bike this year and having developed much better cycling specific leg strength would go some way to explaining that sensation. As we consider Maik Twelsiek’s and Michi’s numbers above, at this world class level the differences in ability between athletes is really quite subtle and highlights how ‘sweating the small stuff ‘ (tire pressures, holding aero position, low friction components and so on) becomes really very important. The obvious question that arises from these numbers is if Michi produced more power and rode at higher watts/kg than Twelsiek how is it that he did not post the fastest bike split? From the file (average power divided by watts/kg) we can see that Twelsiek weighs in at around 78kg, which is a little less than Michi, and it may be that assuming they are both aerodynamically optimized then Twelsiek has a marginally smaller frontal area which makes the difference. 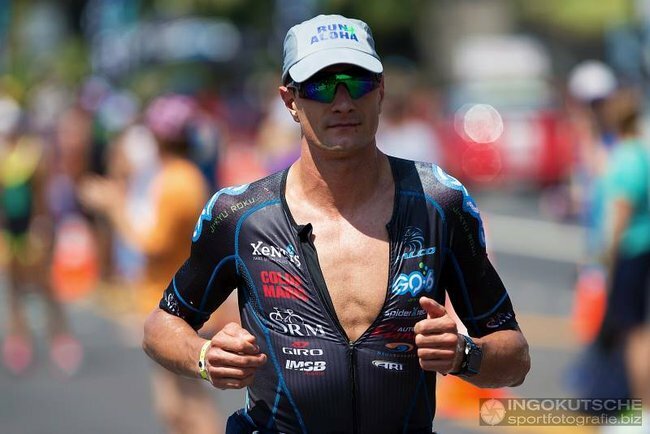 Equally, it may be that by exiting the swim 4 minutes ahead of Michi, Twelsiek was able to benefit from being closer to the group ahead and therefore gained a slight, perfectly legal, drafting advantage. 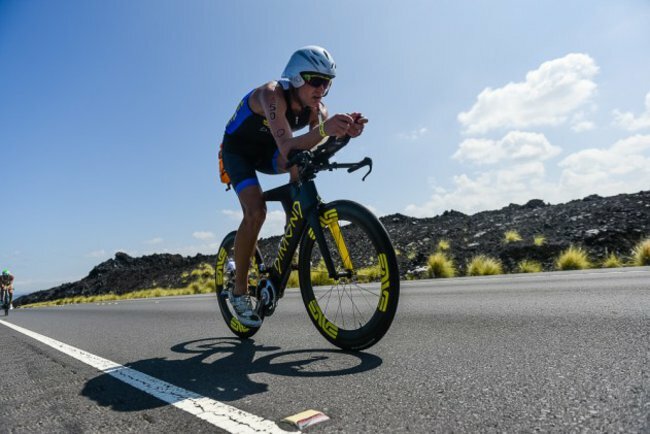 It is worth pointing out that we are talking about just a few minutes separating the top 10 best cyclists in Ironman triathlon and the difference is made with just tiny increases in average speed which can certainly be gained from riding the 12 metres legal draft distance behind the next rider. 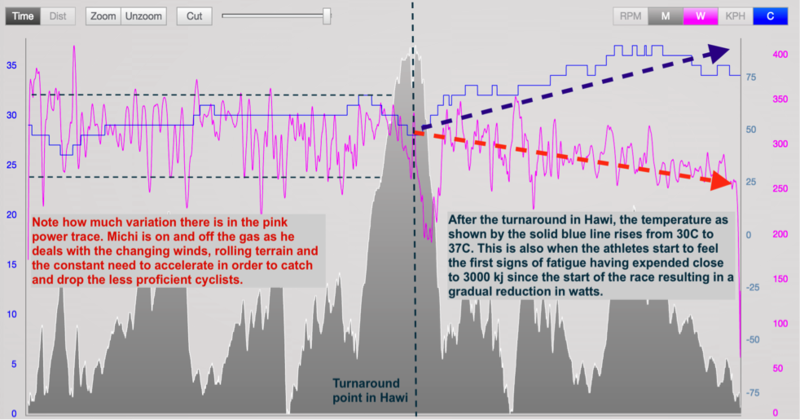 The climb to Hawi, while quite long at almost 10km, is not really a climb by Alpine standards but nevertheless does challenge the athletes coming just before the turnaround and it is interesting that during this section Michi actually rode harder (as a percentage of his threshold power) and with more absolute power and speed than Twelsiek which may indicate that Michi had deeper strength reserves which in turn translated to better running legs off the bike. Once again highlighting that while triathlon is made up of 3 disciplines it is very much one sport. Note how Michi chooses to push harder on the climb relative to his overall average, as evidenced by riding at 3.95 w/kg versus 3.69 w/kg whereas Twelsiek rides the climb at almost exactly the same work rate as he maintained over the entire bike course at 3.55 w/kg versus 3.52 w/kg indicative of a well executed iso-power pacing strategy whereas Michi, at greater metabolic cost, felt comfortable to go harder at this stage of the race and in so doing likely made up a few seconds on the leaders. 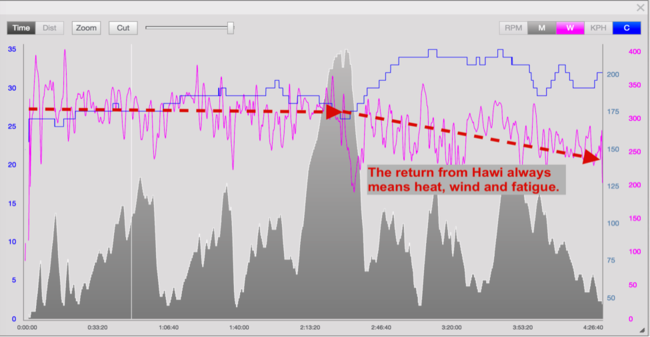 Age groupers are advised to iso-pace as Twelsiek does, as it is less of a gamble with precious, finite glycogen stores. Michi’s background is cycling and through much experience he has come to know exactly what he can ask of his body and get away with it. Congratulations to Michi on once again posting a top 10 Kona bike split and on his 16th position overall in a race which brings together the best long distance athletes on the planet, all of whom bring their ‘A’ game to this race. As a sports scientist and a fan of this sport of triathlon I should also like to mention that it is only thanks to the combination of power data, (first introduced to cycling by SRM), and the increasing availability of that data from key races by more and more of these world class athletes like Michi Weiss and Maik Twelsiek, that allows us to have these insights which were impossible not so many years ago. To all great athletes out there making their power data readily available, we salute you!